Vanitas translates into ‘remember you must die’. 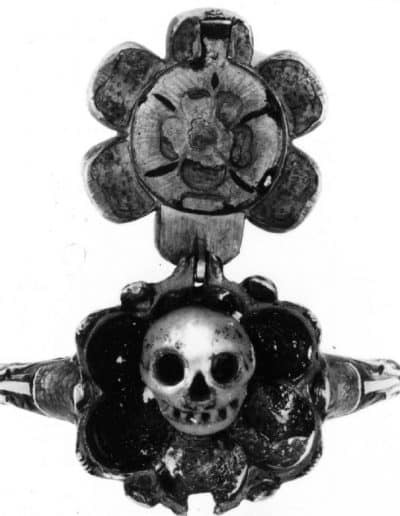 Symbols such as coffins, skeletons, skulls, and engravings were often used in sixteenth and seventeenth-century jewelry as a reminder and a warning that eventually we all must die. These symbols were featured in Memento Mori jewelry and were often wrought in gold and black enamel, accented with gemstones. 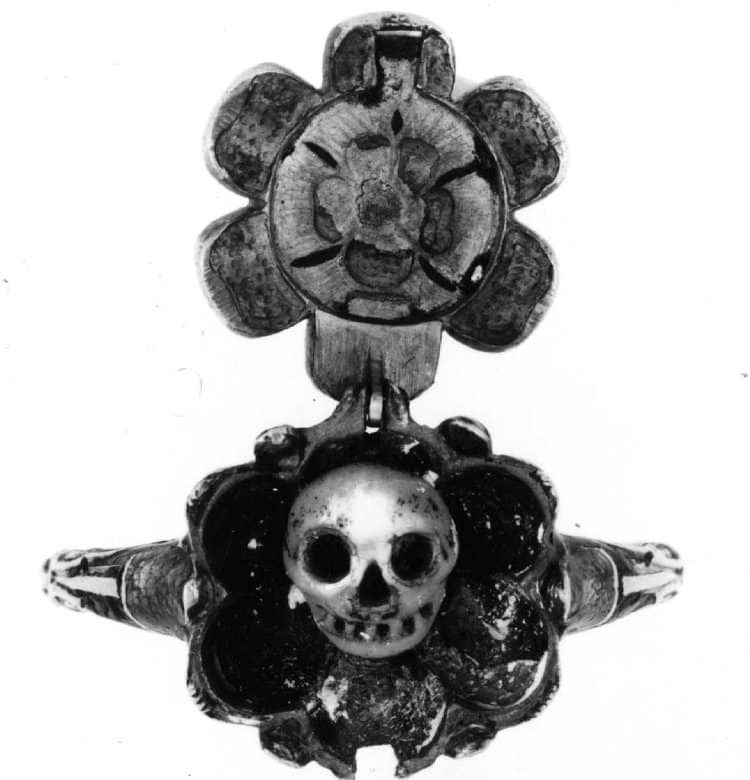 A Memento Mori Ring With A Diamond Flower Top Opening to Reveal an Enameled Skull c.1600s. © The Trustees of the British Museum.